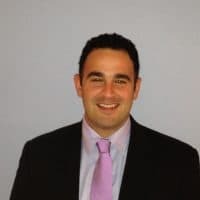 Kevin A. Sabet, Ph.D. has studied, researched, and written about drug policy, drug markets, drug prevention, drug treatment, criminal justice policy, addiction, and public policy analysis for almost 18 years. In 2000, he served in the Office of National Drug Control Policy in the Clinton Administration and from 2003-2004 he was the senior speechwriter at the Office of National Drug Control Policy in the George W. Bush Administration. From 2009-2011, he was a political appointee and senior drug policy advisor to President Obama’s drug control director, R. Gil Kerlikowske. He was the youngest senior staffer in that office and the only one to have ever served as a political appointee in a Democrat and Republican administration. In 2013, he co-founded, with former Congressman Patrick J. Kennedy, Project SAM (Smart Approaches to Marijuana), which advocates for an approach to marijuana policy that is focused neither on incarceration nor legalization – but on health, prevention, treatment, recovery, and public safety. SAM’s board comprises the most distinguished panel of public health physicians and addiction specialists in the country. He is also the Director of the Drug Policy Institute at the University of Florida, Department of Psychiatry, Division of Addiction Medicine. He is the author of numerous monographs, peer-reviewed journal articles, and op-eds, and his first book, Reefer Sanity: Seven Great Myths About Marijuana, was published by Beaufort in 2013.